Much as the official figures of Rwanda Development Board show significant increase in tourist numbers regardless of high gorilla permits, tour operators and transporters in Rwanda tell a different story of how they are seriously feeling a pull back. From the RDB’s report, Rwanda has achieved an 8% increase in tourist arrivals by selling over 6,583 gorilla permits between May and July 2017 compared to 6,079 permits or less that would be sold in the past. The increase in government revenue has also called for an increase in community revenue from 5% to 10%, which is surely a great achievement. Unlike RDB’s positive report, stakeholders in the tourism industry oppose the act of permit increment, which seem to have disrupted tourism operations in Rwanda. The double increment of gorilla permits from 750usd to 1500usd with immediate effect has switched most of the have been Rwanda’s travelers to Uganda. Unlike in the past where Rwanda was a first priority for gorilla safaris, Uganda is now taking the lead in receiving the highest number of travelers coming to see these critically endangered species in their natural habitats. On reaching Kigali international, most travelers transfer to the neighboring Uganda via Cyanika border in Kisoro or Katuna border in kabale district connecting to Bwindi impenetrable forest national park and Mgahinga gorilla national park homes to the famous mountain gorillas. Alternatively, other travelers cross over to Democratic Republic of Congo for gorilla tours in Virunga national park. To Rwanda’s tour operators and transporters, transferring travelers from Rwanda to Uganda is surely costly in terms of money and time. The roads to Bwindi impenetrable forest national park and Mgahinga gorilla national park the home for mountain gorillas. The bad roads therefore call for more costs in repairing the vehicles so as to ensure they are always in good state and can move smoothly on these bumpy roads. 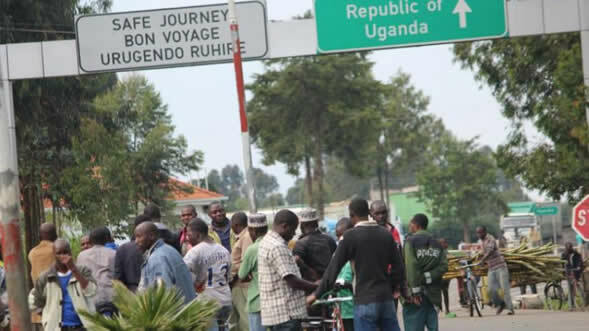 Besides the bad roads, tour operators crossing from Rwanda to Uganda are charged extra 20$ to Uganda revenue authority and 30$ for Comesa insurance and fuel charges. These extra charges raise the price quotation for the gorilla packages by 10 to 20%, which in most cases discourage travelers from confirming the trips. Also, the increase of gorilla safari packages has indirectly pushed out some travelers especially students who cannot afford the high charges. Some tour operators who specialized in school trips have therefore been forced out of the business indirectly. Presently, travelers who trek mountain gorillas in Rwanda are those aged 45 years and above hence missing out the young, energetic and adventurous travelers. So generally, there is a great reduction in the number of tourists who travel to Rwanda for mountain gorillas since the increase of gorilla permits. Not only has the increased gorilla permits in Rwanda reduced gorilla trekkers but also other excursions like chimpanzee trekking/canopy walk in Nyungwe forest national park and game driving in Akagera national park among others. Much as increased gorilla permits promote conservation, it has widely affected business hence deteriorating their standards of living. Gorilla trekking in Uganda is relatively cheap costing 600usd and 400usd in Democratic Republic of Congo which is much cheaper. Its obvious that out of 10 gorilla permits sold, 9 of them are for Uganda while one is for Rwanda something that was a reverse before. Why were gorilla permits increased? The double increase of gorilla permits was mainly to conserve these rare species and promote sustainable tourism thereby reducing the number of travelers to see gorillas. Also, the high gorilla permits are to transform Rwanda into a luxury tourism destination as well as promoting sustainable gorilla tourism in volcanoes national park. As it was planned, the high cost has indeed reduced travels to the park hence saving them from numerous crowds by clients. Some tour operators however support the raise of gorilla permit prices, which helps to conserve mountain gorillas, raise community revenue from tourism and set Rwanda as an exceptional gorilla destination. Rwanda Development Board offers other activities such as big five game in Akagera national park, Virunga volcano hiking, chimpanzee trekking and canopy walk in Nyungwe forest national park and Kigali city tours among others. The increase of Rwanda’s gorilla permit prices was and is a blessing for Uganda tour operators, the government and responsible government bodies. The number of gorilla trekkers to Uganda has increased significantly while that one to Rwanda significantly reduces. In conclusion, gorilla trekking is the best wildlife experience in the world. Book a gorilla safari to Rwanda, Uganda and Congo, meet the gentle giants in the wild rewarding you with a lifetime experience. Tourism In Gishwati-Mukura National ParkBisate Lodge Ranked among world’s Best new hotels.